The CCM Super Tacks AS1 Senior Ice Hockey Skate is an evolution of the successful one-piece boot construction. 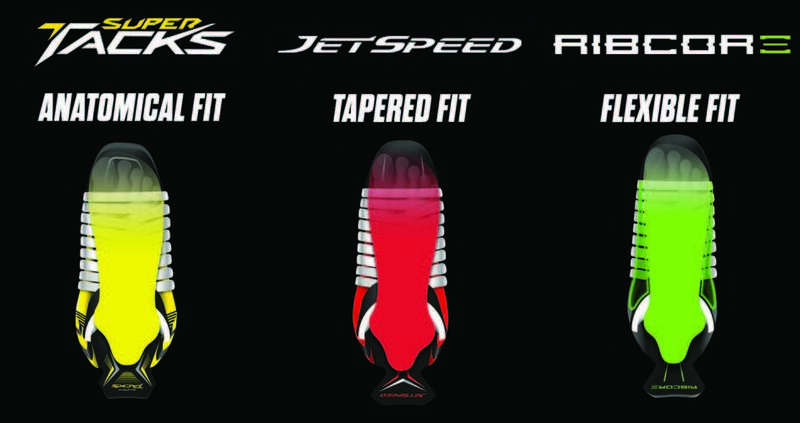 The Monoframe 360 one-piece boot construction is designed to increase the amount of contact between the foot and skate. This 360 anatomical fit eliminates negative space and provides a more comfortable 360-degree connected fit. In a one-piece boot, the outsole and bonding materials are taken out and the boot is fused as one seamless construction for a better fit and lighter weight. This step automatically enhances the performance of the skate. A one-piece boot has a significant impact on the energy transferred with every stride. While skating, the one-piece boot maximises energy transfer, allowing the player’s power to be quickly and seamlessly transferred down the boot to the ice, for an exceptional skating performance. The AS1 is 5mm taller than the previous Super Tacks for an enhanced wrap, this along with the improved comfort edge provides added comfort when skating. The updated carbon composite outsole features an upgraded stitching and sublimation graphics package to further reduce weight, and improve durability throughout. Internally, the AS1 features asymmetrical multi density memory foams and a TotalDri Pro liner. The foams work to dial in a super custom fit when heat moulded, whilst the liner will wick moisture away from your foot during the game, so that it can stay locked in and dry during play. The tongue featured on the AS1 is new for CCM, it is the TriTech Flex tongue offering improved forward flex. CCM have removed some of the plastic inserts, replacing them with equally protective High Density foams which offer greater mobility. These also help to complete the 360 fit by forming to your foot during heat moulding. It provides lace bite protection and flexes where necessary when skating for maximum mobility. The AS1 features a new custom support insole which can be adapted to your own arch shape. It works by utilising varied arch inserts. No insert can be used for low arches, mid-insert for medium arches and the tall-insert for tall arches. Completing the AS1 is the SpeedBlade 4.0 holder and SpeedBlade black steel combination. The offers pro level durability and an increase attack angle to maximise your edge use. The premium, oxide-treated runner helps to provide advanced performance, a longer edge life and higher resistance to corrosion. QUARTER PACKAGE: MONOFRAME 360 ONE PIECE One-piece boot frame increases the foot contact area with the entire skate boot. MATERIAL: CARBON COMPOSITE Premium carbon composite offers excellent energy transfer. 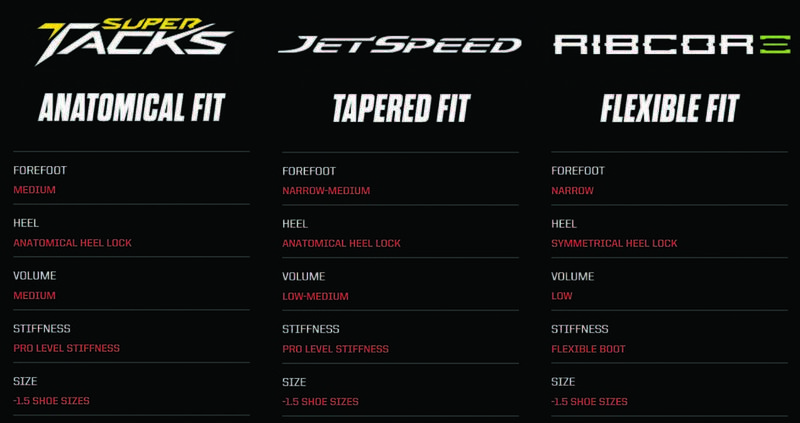 FIT: ANATOMICAL A form-fitting, 360-degree fit around the forefoot, heel and ankle. CORE: SPEEDCORE 3 STIFFNESS Super lightweight, rigid and thermo-formable core generating ultimate performance. LINER: TOTALDRI PRO WITH DURAZONE ABRASION PROTECTION High performance moisture-wicking material keeps feet dry and skates light. COMFORT PAD: SMOOTH CONTOUR PRO Dense pad around collar of the boot for superior foot and ankle comfort. ANKLE PADDING: MULTI DENSITY MEMORY FOAM Asymmetrical foam comfort pads wrap anatomically around player’s foot for customized fit and comfort. TONGUE: TRITECH FLEX WITH MOLDED LACE-BITE PROTECTION Advanced protection, comfort and the forward flex players need. FOOTBED: CCM ORTHOMOVE New customized arch support inserts allow players to enhance the fit of the skate. RUNNER: SPEEDBLADE BLACK Premium blade with oxide treatment provides a harder runner with a longer edge life and excellent resistance to corrosion.